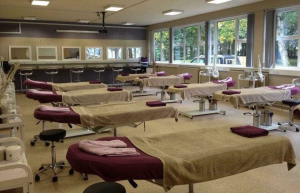 Beauty therapy is a thriving profession and our beauty students here at LCFE are trained to the highest standard. Not only will you learn the theory and practice behind beauty treatments, you will also learn the standard of professionalism the industry calls for. Our Beauty Department are proud winners of 2 international awards CIBTAC Centre of the Year 2014 and CIBTAC Tutor of the Year 2015. You will also have the opportunity to take part in our Erasmus + Programme which will see successful candidates spend 3 weeks in Tenerife working in 4 and 5 star Hotels and Spas. Our Aesthetics course runs over one year and you gain extensive qualifications in all areas of beauty. 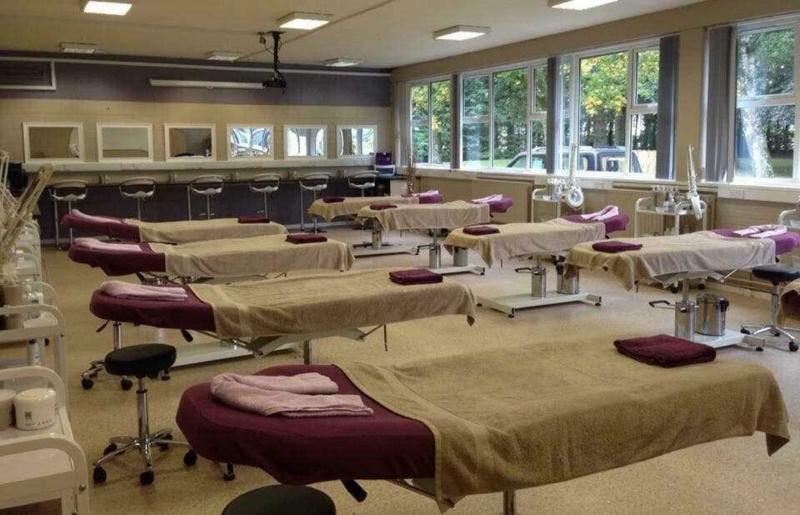 Students will also have the opportunity to take part in any additional add on courses throughout the year such as; Gel Nails, Spray Tanning ,Semi Permanent lashes and Dermalogica Skin Care Training. There is a fantastic opportunity here at LCFE to continue your studies on site on our Complementary and Advanced Beauty Therapy course. Our CIBTAC Photographic and Fashion Make up Certificate is recommended for students who have a natural flair and passion for make up as the unit is based on capability, knowledge and skill. It is perfect for those who have a major interest in make-up and who want to explore the idea of working professionally. You will learn how to maintain effective health, safety and hygiene practice throughout the work place as well client care and communication. This Certificate allows you to research and build your very own make up portfolio to include, Period, Catwalk, Fashion, High Fashion, Bridal, Commercial and Day Make Up. If you have no previous beauty qualifications it is recommended that you complete our QQI 5N3466 Skin Care, Eye Treatments and Make up module. This will give you the foundation of knowledge you require in areas of anatomy and physiology, skin diseases and disorders, make up and lash application, brow shaping and tinting. Students will also have the opportunity to take part in additional add on courses throughout the year such as; Spray Tanning and Semi Permanent lashes.